All images originate from Vogue Italia December 2007 issue. Photography ⓒ Steven Meisel. The thing is I actually HATE all tattoos. Most of my friends have them and they all know this. Whenever they have more work done on their ‘sleeves’ or their stomachs or calves – whatever odd place it may be – I give them the third degree and they know to expect it. 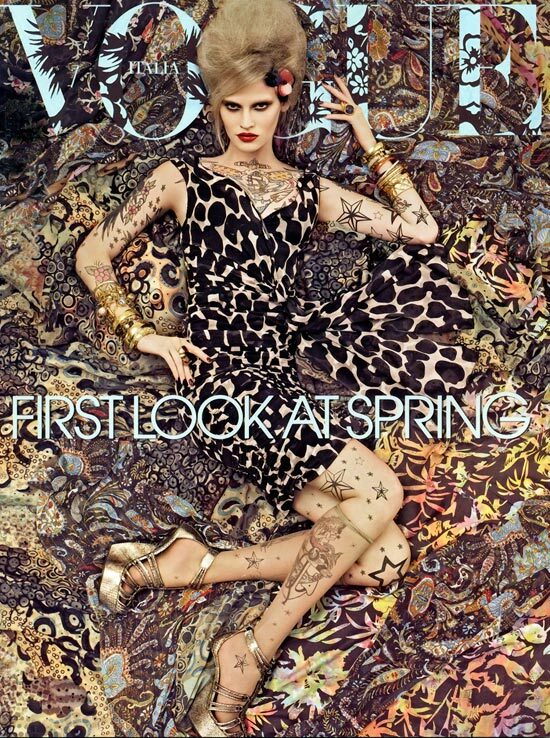 I used to be pretty passionate about this until I came across the Steven Meisel story – Patterns. It is by far my favourite fashion story to date and it probably couldn’t get more extreme as far as mass body art goes, however I just love it! 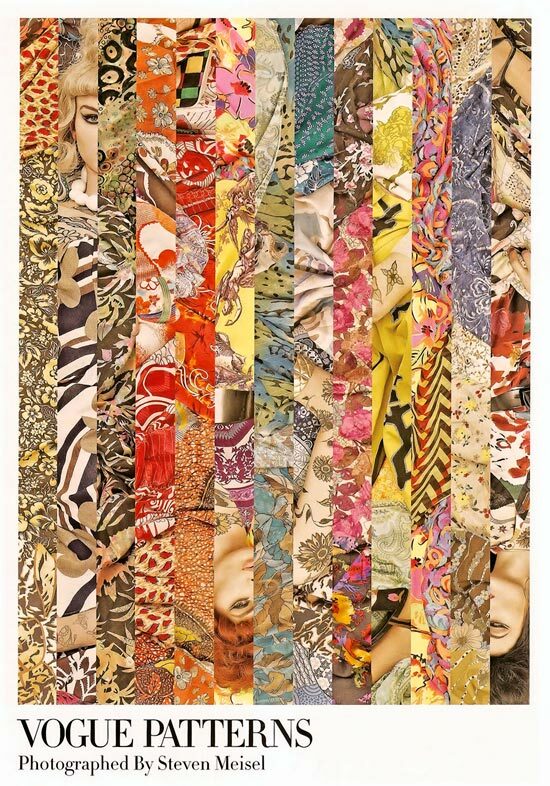 Patterns kind of reminds me of Gustav Klimt’s art (I LOVE his work too) and until I moved recently I had all of the pages stuck on my wall. I bought two copies at $17.95 each so I wouldn’t have to choose which ones to show. 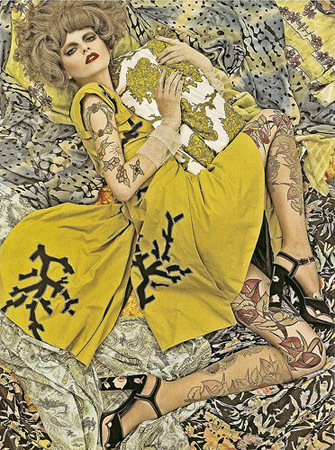 Steven Meisel and make-up artist Pat McGrath are pure genius’ and eventhough this hasn’t changed how I feel about tattoos I cannot deny that it is clear they are a pop culture phenomenon gracing the bodies of more Gen -Y-ers than even Henry Rollins could have ever imagined. If you have a tattoo don’t be offended at my words because really, at the end of the day, you are making history.